Many attics can easily be turned into cozy, unique bedrooms. To quickly brighten up the space, paint the room a light colour and add a skylight. Place furniture that is both practical and stylish into the room to turn it into a functional space. To personalise the room, add mirrors, lights, art, and linen that reflects your unique style. Enjoy the fun decorating journey! If you are primarily concerned with opening the space up, sticking with one solid color is a good way to accomplish your goal. A light colour will help the room look bright, fresh, and open. White and light yellow are especially effective at creating the appearance of additional light. Painting is an inexpensive way to quickly change the look of your room. Before you paint the space, take paint charts into the room to help you imagine what the new colour will look like. Avoid feature walls in attic bedrooms, as this makes the space look smaller. This is especially important for slanted ceilings, as darker colours can make the room feel oppressive and can make the ceiling feel closer than it really is. Paint the ceiling the same colour (or a lighter colour) than your walls to accentuate the height of the room and to make it feel bright. Bright white paint makes attic ceilings look fresh and light. If your attic bedroom already has natural wooden beams, brick walls, or a stone fireplace, consider keeping these features to add to the rustic and unique feeling of the room. If they are in poor condition, use your DIY skills to restore them or hire a professional to bring them back to their former glory. To draw attention to these natural textures, expose them as much as possible and avoid placing furniture in front of them. If you don’t like the look of your bricks, consider painting them white. This is a popular look that makes the space look nice and light. 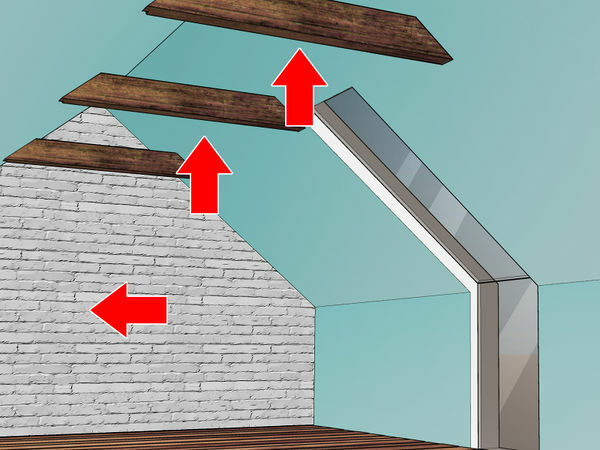 Install a skylight on one of the sloping walls in your room. Consider placing it over your bed, as this allows you to stargaze at night and will provide natural light in the morning. Alternatively, place it in a dark corner of your room, to brighten it up. 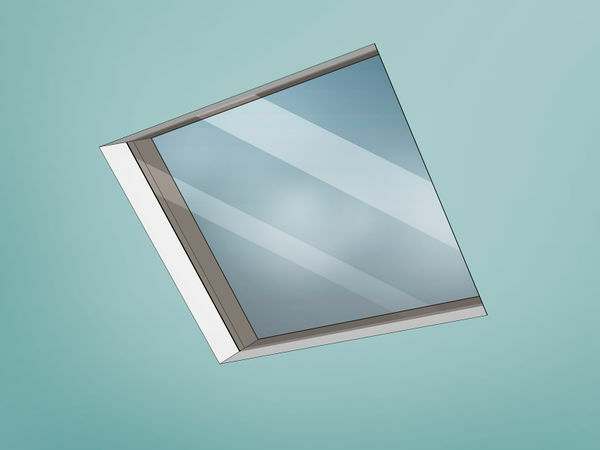 Consider choosing a skylight that can be opened, as this will give you the option of extra ventilation in your room. 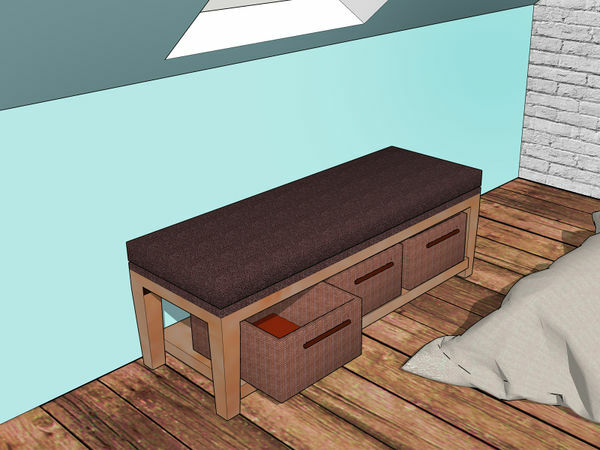 Attic bedrooms don’t tend to have many storage cupboards or wardrobes, so it can be really useful to add hidden storage. This gives you places to put all your things and helps to prevent the room from looking cluttered. Consider installing a window bench that doubles as drawer space, or look for a bed frame with drawer space built underneath, or install a free-standing wardrobe. If you are on a budget, consider purchasing kit-set furniture to reduce the cost. 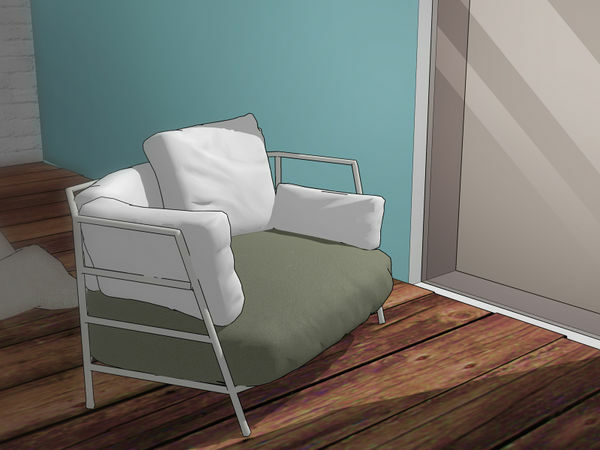 Adding a chair to your room can help to create a separate space within the room. Utilise the chair as a reading nook, a place to rest clothes, or as a feature piece. Choose a chair that is comfortable and expresses your own personal style. Armchairs are great for reading, simple wooden chairs are good for hanging clothes, and peacock chairs are great feature pieces. The vertical poles on canopy beds help to accentuate the height of the room. 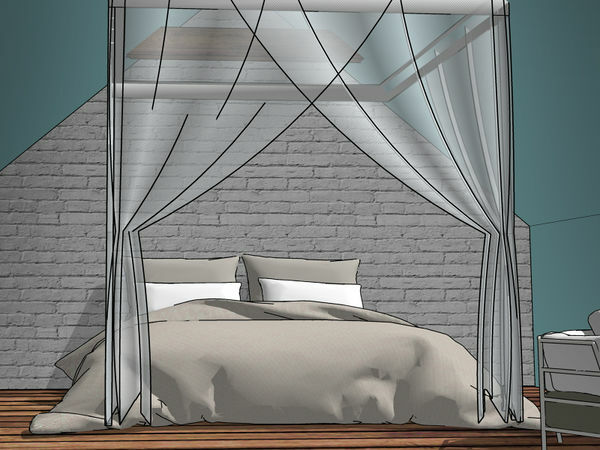 Choose a canopy bed with soft, draping fabric to help promote a calm and relaxing ambience. 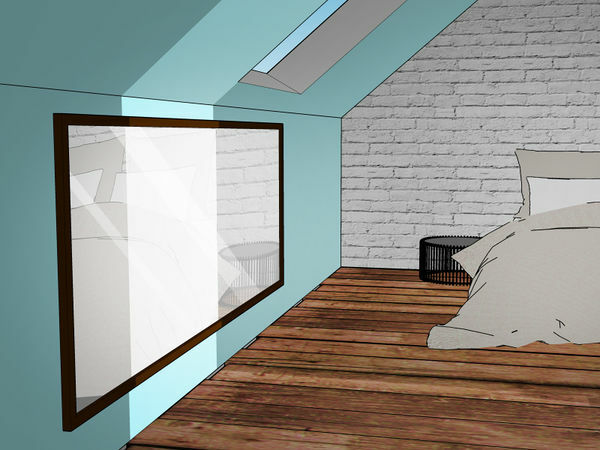 Place the bed in the highest part of the attic room to maximise the ambient and lengthening effects of the bed. Purchase a canopy bed from a furniture store or online. The human eye tends to find symmetry calming and aesthetically pleasing. 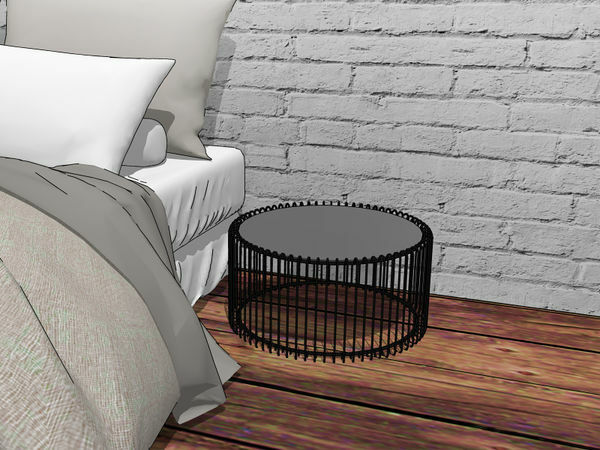 Place matching bedside tables on either side of the bed to create this effect. These are also useful for storage and displaying small ornaments or plants. Opt for bedside tables that match the rest of your furniture. For example, if your headboard is made of dark wood, choose bedside tables that are also made of dark wood. Aim to have your bedside tables at a similar height to your bed. This looks nice and makes it easier to reach the items on the tables. 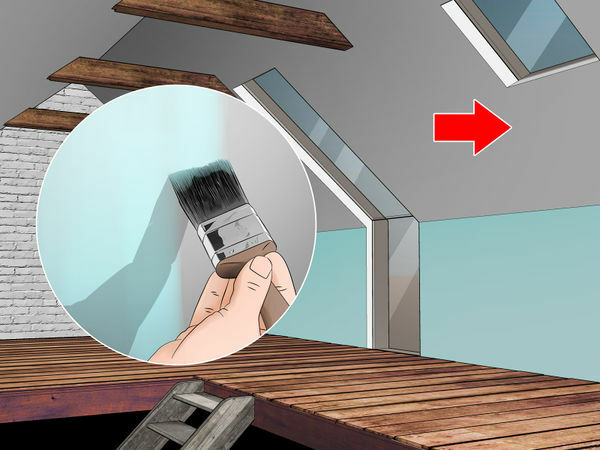 If your attic only has one or two windows, arrange your furniture so that the natural light will rest where you spend the most time. 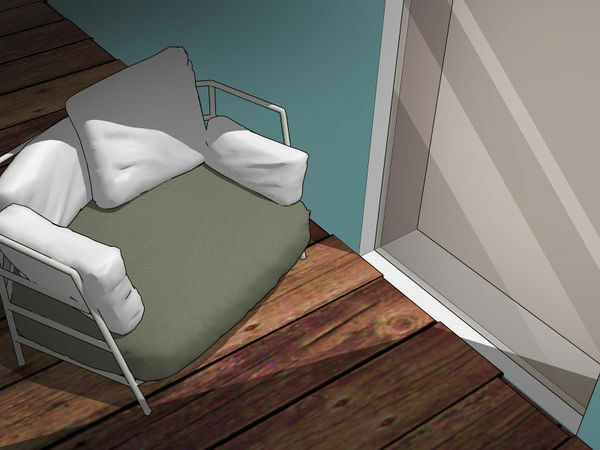 Most likely, this will be your bed; however, you could place a desk or chair in front of the window to catch the light instead. Natural light helps to give your room a warm, cosy, and fresh atmosphere. Watch where the sun falls throughout the day. If you spend the most time in your room in the mornings, check where the sun falls in the morning. Mirrors are a great addition to attic rooms, as they allow you to check your outfit whilst also bouncing light around the space. 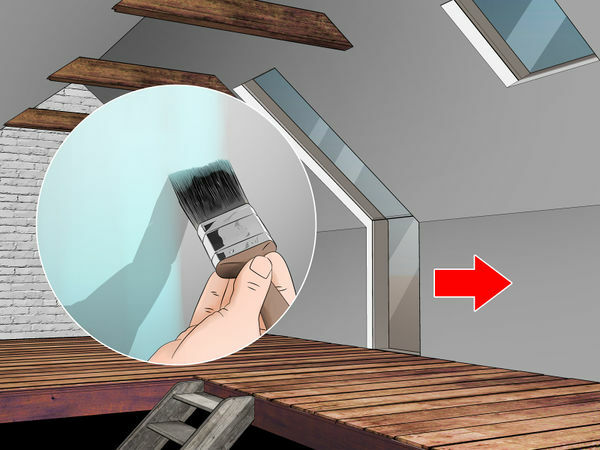 Place the mirror in a space that is often hit by the light, as this will allow the mirror to distribute light to other parts of the room that are normally dark. Full-length mirrors are a great option as they accentuate the height of the walls and distribute a large amount of light. 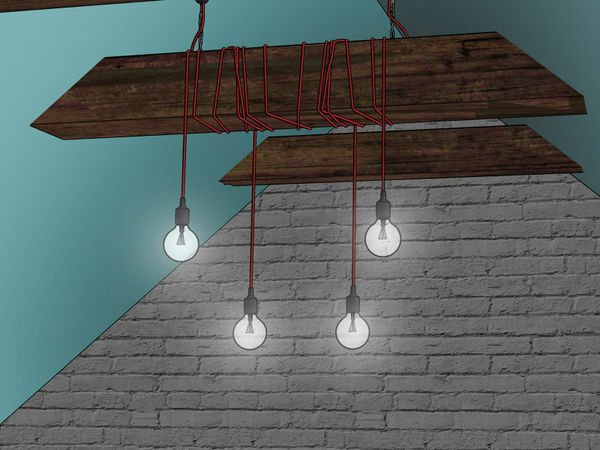 Chandeliers, hanging bulbs, and other hanging lights provide extra lighting and can be beautiful feature pieces. Place the lights in the middle of the room to disperse the light evenly or hang them over a darker corner to brighten it up. Choose low-watt bulbs if you want a cosy, ambient mood or opt for bright bulbs if you need light for reading or studying. Make sure that the lights don’t obstruct walkways, as this can be a safety risk. 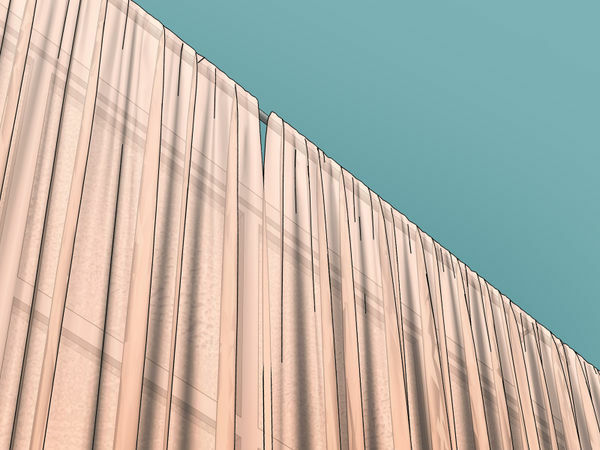 Curtain are a wonderful way to set the mood in a room. Choose thin, light-coloured curtains to make your attic room feel fresh and breezy. Thin cotton, linen, and muslin curtains work well for creating this effect. If you need the room to be dark in order to sleep, choose curtains with a black-out coating on the back. This will help to block the light when the curtains are closed. If you are on a budget, consider making your own curtains or buying them second-hand. Choose throws and pillows that express your unique personality. 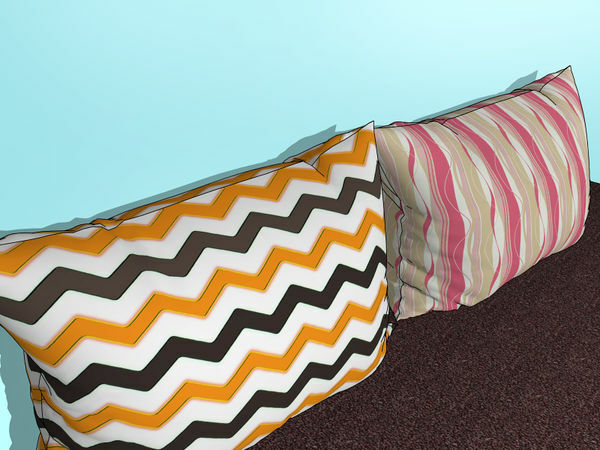 These are a great way to cheaply change the way that your room looks and feels. Consider adding bright pillows to liven up your bed and fluffy throws to make your room feel extra cosy. Place the throw at the end of your bed or hang it over a chair. Consider purchasing throws and pillows that are similar colours to make your room look cohesive. 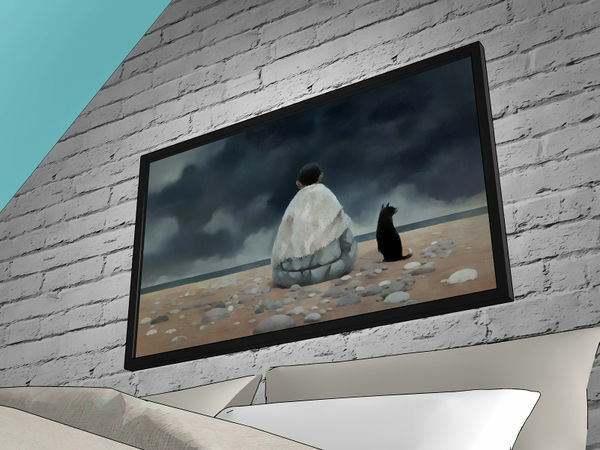 Art is a great ways to make your walls look less bare. Consider hanging a print, photograph, painting, or sketch on the wall to give the room personality. If your room is fairly plain, pick art that has a little colour to brighten up your room. Vertical walls work best for hanging art, as it is hard to attach frames to sloping walls.